Immigration has always played a significant role in the history of the United States. In recent years, the debate has intensified with mostly extreme views on both sides taking up most of the air in the room. Given the ongoing and important dialogue around immigration, I wanted to utilize the forum of the Character Creates Opportunity blog to provide a personal moment of reflection on a principle that was taught to me by two immigrants I know very well. The timeless, universal, and self-evident principle I learned from two immigrants was SERVICE to a cause greater than my own is the gateway to make a positive impact and reach one’s full potential. In addition, I have seen this principle embodied in the efforts of countless numbers of immigrants I have come to know throughout my 50 years on this planet. The two immigrants who taught me the principle of service to a cause greater than my own are my mom and dad. 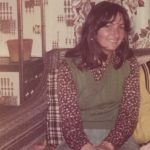 My mother came to this country by herself at the age of 18 from Glasgow, Scotland. My father is a second-generation Italian immigrant. As my mother came to this nation by herself, it was the open door of her sister who came to America a few years earlier and provided her with an initial foothold to get started. It was not a perfect support structure, but it enabled her to get her start on building a new life. My father’s family made their way initially in a shared apartment with close relatives. 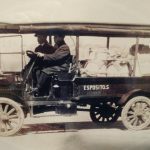 They got their start in the fresh produce business starting off with a wagon on a street corner and eventually moved to a modest storefront offering customers access to quality produce to a growing post-WWII population. Families made sacrifices to ensure their loved ones had a helpful hand to initially find their way. The importance of service to family above oneself has been a recurrent theme throughout the lives of my parents. When the stresses and strains of raising a family, maintaining a marriage, and dealing with financial pressures would typically lead to the break-up of a family, my parents modeled a commitment to a greater cause than themselves and kept our family together. As my mom worked and journeyed along to make her new life, she met my father in their common place of work at a local bank in Hackensack, NJ. Work, not as a means to build wealth, but as a means to serve others and provide the resources for a warm home to grow a family has been another recurrent theme throughout the lives of my parents. Whether sweeping floors or working in the corner office, work was viewed as source of strength and self-worth when the barriers of different languages and cultures can sometimes drive feelings of insecurity and shame. As our family grew together there was always an element of service to our community that helped ensure we collectively lived safely and provided an opportunity for others to achieve their hopes and dreams. The importance of service to a community and a nation has been a recurrent theme throughout the lives of my parents. 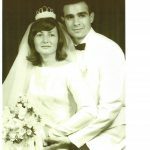 Whether it was seeking elected office on our town’s council, teaching in a community college, volunteering in local charities and supporting youth athletics and education, my parents made it a priority to serve the community in which we lived to make it a better place for others to build a better life. The priorities of family, work, and community based on the principle of service to a cause greater than oneself is what two immigrants taught me. As I reflect on what I have witnessed in my own life, I have seen the principle of service to a cause greater than oneself displayed in the immigrants who were soldiers in my command in combat during the first Gulf War. In my 25 years in the healthcare marketplace, I see immigrants displaying the same willingness to serve a cause greater than themselves as they help to build businesses, ensure a solid home-life and community for their families, and pursue noble advances in science and technology. Service to a cause greater than ourselves keeps us humble despite how much outward success we may achieve in the world. Service to a cause greater than ourselves provides an inner-peace that is a strong barrier to feelings of depression, negativity, and contempt for life. Science now proves that aspirations like focusing on helping others rewires our brains to more positive pathways that enable us to feel better, live healthier and have a more positive impact on others. Service to a cause greater than ourselves fills our hearts and minds with compassion for others and helps us be more empathic to the struggles of others. We become more compelled to help rather than judge, shame, or hurt. Yes, it is true that there is no simple answer to the complexity of immigration in this modern era. There are people who want to come to this country to do harm and we need to provide for the necessary protection of our citizens. We do not have unlimited resources to fully address every need, so tough choices need to be made. We need a principle-based, respectful, and honest debate to come to the most effective solution. However, the foundation of this nation has been built on the principle of SERVICE to a cause greater than oneself and that principle is the dominant theme that drives most immigrants to our nation. Unfortunately, that truth is many times lost by all of us who have never known or never taken the time to reflect on the origins of our own family tree that arrived in this land of opportunity. What two immigrants taught me is that when service to a cause greater than oneself becomes our foundation, we become our best selves and make a positive impact on our world. As we focus on the principle of SERVICE we build and strengthen our character and Character Creates Opportunity to make this world a better place. When discussing topics around the importance of character, we often hear phrases like, “people just need to do the right thing” or “it is pretty basic, just like the things we learned as young kids in school.” In many ways, how we build and strengthen our character is pretty straight-forward. When I reflect on some of my own choices or speak with others about choices they made, there seems to be a common theme. When we cut through all the justification language, the well-articulated rationale, the defensiveness around a decision, etc. more times than not, we are left with some form of FEAR, often buried beneath insecurity, that is the force that holds us back from making the most effective choices in our lives. Fear has its place in our lives. In some short-term situations like walking at night in a bad part of town, a little fear is good to keep us on high alert. Having a little fear when the doctor says we need to eat better and exercise more maybe just what we need to get motivated. Just before we make the decision to buy that new car, take that big vacation, or financially “stretch” into a larger home, a little fear is good to ensure we understand all the potential outcomes before spending the money. However, in the context of strengthening relationships and pursuing a life of positive impact, it is not healthy to let fear be the driving force behind our thoughts, decisions, and actions. We should put fear in its place as we anchor our decisions on timeless, universal principles like courage, discernment, and discretion to make the most effective choice and do the right thing; Have that difficult conversation, put the issue on the table at work, and pursue that career choice that would be most fulfilling. Addressing this basic question helps acknowledge the reality that somewhere in the mix of major decisions there is always a little fear and it opens the door to be brutally honest with ourselves as we work through making the decision. Fear has its place in our lives. As we guide our thoughts, decisions, and actions by principles such as courage, loyalty, and commitment, we build and strengthen our character and our Character Creates Opportunity to help minimize the negative impact of fear in our lives as we pursue our hopes and dreams. At the start of the year I wrote a blog that described our greatest challenge in life is to reach our full potential. Research would suggest that one of the main hindrances in reaching our potential is that we have a strong tendency to allow what others believe about us to influence how we see ourselves and how we grow relative to our potential. This common hindrance to reaching our potential is especially strong in our adolescent years, but it is also very prevalent in adulthood. There have been numerous studies over the years that corroborated the evidence documented in the foundational book, Pygmalion in the Classroom, published in 1968 by Robert Rosenthal and Lenore Jacobson. These studies all draw a similar, very simple conclusion; teacher expectations of students play a significant role in students reaching their full academic potential. It would be misleading to state that teacher expectations determine a student’s success, but the expectations are a huge barrier for students to overcome when they are negative and they are a huge accelerant to growth when they are positive. Outside of the classroom, there is a similar amount of evidence in the home, the workplace, and the community that would draw similar conclusions of the impact of parents, mentors, and leaders. 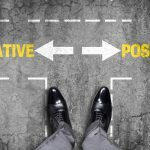 In the course of our lives, we have all probably felt a negative projection, whether directly or indirectly, from a coach, a teacher, a parent, a sibling, a boss, or spouse that influenced us enough to open the door to self-doubt that perhaps we did not have what it takes to achieve a certain goal or dream. Despite our understanding that we own our choices and we can achieve our dreams, that negative projection was an obstacle we needed to overcome. The effort, whether small or large, that we devoted to overcoming the obstacle was effort that could have been directed at reaching our full potential. We have a tremendous opportunity to help others by communicating clearly that we believe they can reach great heights and have a great impact. Our positive expectations of others will help them reach their full potential. Avoid letting our own generational experience drive a negative perception of someone attempting a new technique or proposing a new idea. I once heard Jeffery Katzenberg, CEO and Co-Founder of Dreamworks Animation, describe the negativity that many individuals in his company had in the transition to computer generated animation because they felt the human side of hand drawn animation was the only effective way to tell a story. The negative expectations of many of the experienced, hand-drawn illustrators slowed the transition to computer generated animation and put the company’s future at risk. However, with the incredible success of the company’s first 100% computer generated animation film, Shrek, Dreamworks has never looked back to hand drawn animation again. Avoid letting our perceptions of the ‘exterior’ override the potential of someone’s hopes and dreams. We all have a tendency to allow the looks, the dress, the “resume”, the recent activities, etc., of someone be the driving force behind our positive or negative expectation. We should refrain judgment on the exterior and begin with a positive expectation as we work to encourage an individual’s desire and effort which, in most cases, will overcome any obstacle to reach their hopes and dreams. As we bring a positive, hopeful expectation to others, we will build and strengthen our character and Character Creates Opportunity to encourage others and be an enabler for them to reach their full potential. The same basic concept on building physical strength can be said about the process to build and strengthen our character. Over the last few decades there continues to be some exciting science in the field of neurobiology that describes a similar process in our minds that supports mental health and in turn, healthier relationships, and the foundation for greater personal impact. Scientific research from some of the leading institutions around the world has consistently demonstrated that we can more effectively wire our brains to improve our own self-awareness, our empathy for others, and our collective sense as a family, a team, etc. Mental activities such as our feelings and thoughts flow as patterns of energy within our brains. Our brains actually change connections and those connections grow stronger in response to our thoughts and the focus of our attention. The process is called neuroplasticity. As we continue on our journey to build and strengthen our character, the reality of neuroplasticity presents a real opportunity for us to reach our full potential and have a positive impact. The reverse is also true. When we focus our attention on thoughts, decisions, and actions of deception to take the easy way out, hiding the truth to avoid embarrassment, or avoiding the tough conversation, we physically change our mental map. We build strength around those connections in our brain to make deception, avoidance, and dishonesty the well-worn pattern of our behavior and our character is weakened. When we encounter the need for courage to have the difficult, but necessary conversation, we avoid it and take the easy way out because we have strengthened our brain to go down that path. Just like my inconsistent workout routines over the years, I can see seasons of my life where I developed well-worn mental maps in both areas. Perhaps you can also. The great news is that we all have the choice to get back on the most effective path. Just like beginning a new exercise routine, it is a little painful at first, but once we build the pattern, the strength follows, and we start feeling better. As we anchor our thoughts, decisions, and action on principles, we will build and strengthen our character and Character Creates Opportunity to hard-wire our brains to take the most effective path to reach our full potential and maintain health in our relationships. As we move into the new year and continue our journey to build and strengthen our character, an important topic to consider is how we work towards reaching our full potential in a world that tries to simply drive us towards comparisons. There is a great deal of measurement and assessment in schools, sports, the workplace, and our homes that is necessary to establish benchmarks and standards to provide a sense of order and alignment. Many times, these important assessments drive the unintended consequence that our “relative ranking” to others also becomes a measure of our own self-worth. Healthy competition and the assessment of that competition is a good thing to help us reach our full potential. However, we need to be intentional about maintaining our own personal interpretation of the measurement to ensure that it remains a simple assessment of fact, and not a definition of our true self-worth. In addition, in our roles as parents and mentors, we need to be especially proactive in ensuring our children don’t fall into the trap of identifying their self-worth by their class rank, their time in the 100 meter dash, or the colleges they do or do not get into. The “keeping up with the Jones” mindset is the adult manifestation of finding our self-worth in a measurement of what I have relative to others. Spending a great deal of energy thinking about how our bank account, salary, career progress, accomplishments of our kids, state of our marriage, etc. 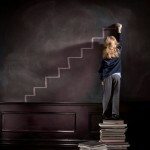 stack-up to others can all be the adult manifestation of finding our self-worth relative to others. In terms of determining our self-worth, John Wooden provides an important point in his definition of success: “Success is peace of mind which is a direct result of self-satisfaction in knowing you did your best to become the best you are capable of becoming.” The legendary basketball player and coach was trying to drive home the point that you find peace when you give it all you have to reach your full potential, regardless of what those around you achieve or don’t achieve. Our greatest challenge in life is to reach our full potential. It is not winning a certain championship, reaching the corner office, solving some major problem in the world, or getting our kids prepared for life. Our greatest challenge in life is to reach our potential in a world that keeps pressuring us to compare ourselves to others. Understanding our potential in all areas of our lives requires a great deal of self-reflection, honest assessment by ourselves and others who genuinely care for us, and wisdom that comes over time. We will find a sense of peace, like Coach Wooden described, if we can consistently give our best effort along our journey of trying to reach our potential. It has been my experience in working with individuals, teams and families over the years that we all have a great deal more potential in our roles than any of us thinks we do. If each of us can “raise the bar” on our thinking about our true potential, we will make steady progress on building and strengthening our character and Character Creates Opportunity for us to reach our potential.